Kerala is God’s own country. An ancient paradise with a network of rivers lagoons, thick forests, exotic wildlife, tranquil stretches of emerald backwaters and a long shoreline of serene beaches. The literary meaning of Kerala is "the land of coconuts". Kerala offers a unique language, culture and cuisine from the rest of India, and is the birthplace of Ayurveda, the ancient Indian science of holistic medicine, making it an excellent place to retreat for natural healing. There is no better place in the World to get inside nature and rejuvenate with natural medicine than the sweet-scented expanses of Kerala. Time spent in Kerala allows one to experience authentic healing practices of ancient India, while relaxing in the lap of modern holistic luxury. 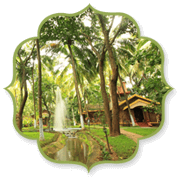 Kairali Ayurvedic Group’s flagship ayurvedic destination, Kairali – The Ayurvedic Healing Village is one-of-its-kind holistic space that heals internally and externally. 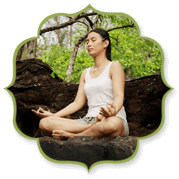 Using ancient India traditional and authentic Ayurvedic therapies, treatments and medications along with Yoga and Mindfulness practices, the Healing Village offers holistic Wellness to all. The Kairali Ayurvedic Healing Village is spread over 60 acres has 30 villas and suites in addition to open spaces, farms, organic plantations, 3 yoga studios and offers authentic organic cuisine. The Healing Village has been welcoming Wellness enthusiasts from all over the World Yoga Retreats, Ayurveda Retreats, Ayurveda Training Retreats amongst other programs. The AyurYoga Retreats are usually for 07 days, 14 days, 21 days and 28 days and we accommodate groups guests in dual and triple occupancy. The AyurYoga 2020 program with our partners is visioned to be a combination of yoga, Ayurveda, meditation, pujas, kirtans and discovering sacred spaces. 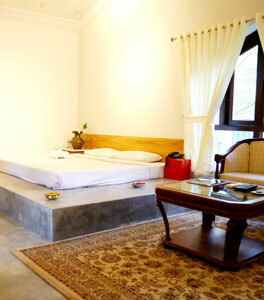 The retreat may begin with an 10 days Panchakarma along with Yoga therapy to detoxify the body and the nervous system. 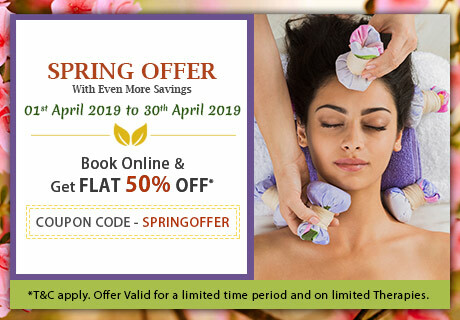 Panchakarma is part of the Ayurvedic medicine which is the traditional medicine practiced in India for over 5000 years. Ayurveda aims to restore body and mind balance and recommends among other things to detoxify the body with each change of season. 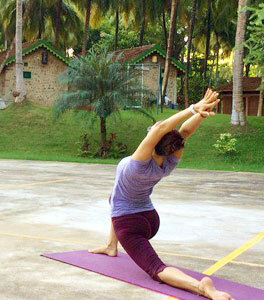 Panchakarma cleanses the body of toxins at the physical, emotional and mental levels. Treatment includes ingestion of a preparation made from medicinal plants appropriate to the condition of each. It comes with fasting or a light diet and lasts eight-ten days. 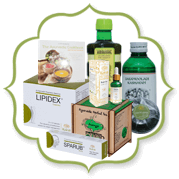 You will have a regular follow-up with a doctor who specializes in Ayurveda. Multiple appointments with the doctor, 2 massages, ayurvedic and sauna sessions included. The AyurYoga retreats at Kairali’s healing village is an all-inclusive package where everything is taken care of by Kairali to make the visit the most memorable.